PM Narendra Modi and Russia's Vladimir Putin addressed the captains of Russian industry in St Petersburg. New Delhi: India and Russia have signed a pact to jointly build the last two units of the Kudankulam nuclear reactor. 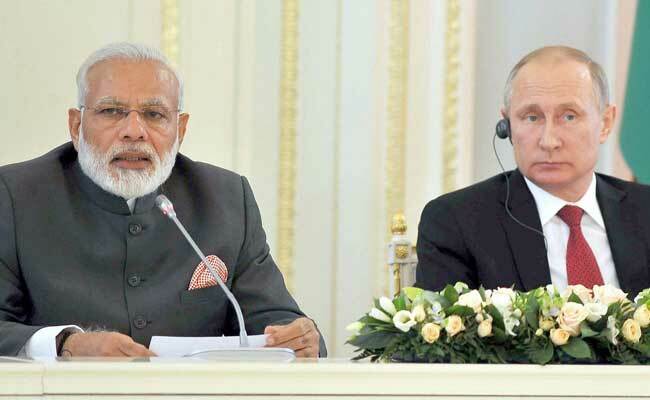 Making the announcement during his joint statement with President Vladimir Putin, Prime Minister Narendra Modi underscored the seven-decade India-Russia ties, which he said, has stood the "test of time". PM Modi, who also addressed an elite group of Russian industry leaders, said defence should be a key area in Indo-Russian collaboration and the government had approved a policy to allow Indian companies to manufacture defence equipment with foreign players. The Prime Minister is on a three-day tour to St Petersburg, where he had bilateral meetings with Russian President Vladimir Putin and his team. "We've adopted a declaration that will link both nations' economic progress and will act as an important driver amidst global turmoil," PM Modi said in the joint statement with Russian President Vladimir Putin. India and Russia signed five agreements after the bilateral talks between Prime Minister Narendra Modi and President Vladimir Putin. PM Modi said trade with Russia - which currently stands at $7.8 billion - will be raised to $30 billion over the next five years. In his address to the industry leaders in Russia, PM Modi said, "Trade, commerce, innovation and engineering are of immense importance in this era". The Prime Minister is the Guest of Honour at this year's three-day Saint Petersburg Economic Forum -- Russia's answer to Davos. 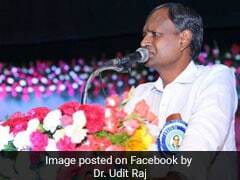 The last two units of Kudankulam nuclear power plant will be built with Russian collaboration. Russian firm Atomstroyexport will work with India's Nuclear Power Corporation of India Ltd to build units 5 and 6, which will have a capacity to produce 1000 MW of electricity each. Russia also reaffirmed its "strong support" to India's candidature for a permanent seat in the reformed UN Security Council and a membership in the Nuclear Supplier Group and other non-proliferation regimes. India will become a member of the Shanghai Cooperation Organisation - a five-nation political, economic, and military bloc - within a week, President Putin said. The SCO was founded in 2001 in Shanghai by the leaders of China, Kazakhstan, Kyrgyzstan, Russia, Tajikistan, and Uzbekistan. India and Russia are looking to improve the declining trade ties and the unease triggered by shifting global alliances. A traditional ally of India, Russia has lately veered towards China and Pakistan. In an interview to news agency Press Trust of India, President Putin said Russia does not have any "tight" military relationship with Pakistan, and asserted that its close friendship with India cannot be diluted. PM Modi met Mr Putin at the sprawling Konstantin Palace, the Russian President's official residence. Later, President Putin will host PM Modi at a private dinner. He started the day by paying respects to the 500,000 Russians killed in Leningrad during World War II at the Piskaryovskoye cemetery. Last evening, PM Modi had reached St. Petersburg from Spain. The city, founded by Czar Peter the Great in 1703, was the former capital of imperial Russia, and was also known as Petrograd and Leningrad.